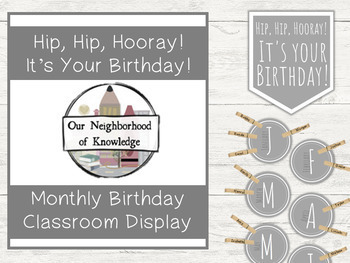 Display the months of your students' birthdays with these simple gray labels under a poster that states "Hip, Hip, Hooray! It's your birthday!" 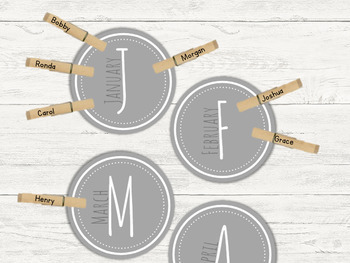 Print out the labels and either put clothespins or other graphics around each month to display student birthdays!